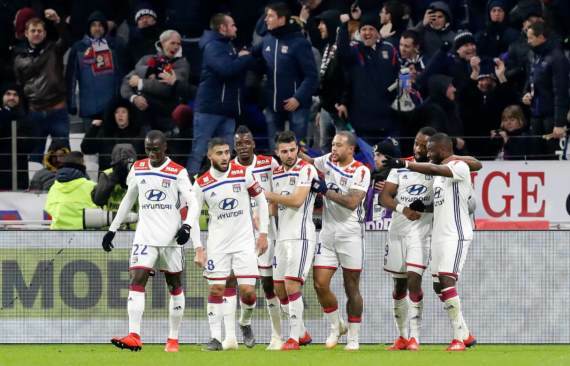 Week 23 of the 2018/19 Ligue 1 season saw PSG suffer their first league defeat of the campaign, as they were beaten 2-1 by Lyon. At the other end of the table, Monaco grabbed a precious three points at home against Toulouse. This week sees PSG host Bordeaux while Stade Rennais and St. Etienne clash in what could well prove to be the match of the weekend. We’re off to the east of France first up this week where Dijon play host to Marseille in our Friday evening fixture. Dijon have struggled for consistency lately in the league, taking just four points from their last five encounters. They slipped to a 1-0 defeat last time out at Angers and will look for a big performance as they return to home comforts. Marseille are yet to play their Tuesday fixture against Bordeaux at the time of writing, but their troubles on the road were laid bare last weekend as they fell to a 2-1 defeat away at Reims. The southern giants have only won four of their 12 games away from the Orange Velodrome this season, simply not good enough. With this in mind, get on the Dijon Win/Draw at 15/20. PSG slipped to their first league defeat of the season last time out as they were beaten by a spirited Lyon team. That loss didn’t change too much at the top of the standings, however, with the Parisians still enjoying a 10-point cushion over Lille in second place. They return home this weekend where they have picked up all 33 points available to them. Bordeaux haven’t played their Tuesday fixture against Marseille at the time of writing. The southern club haven’t enjoyed a good season thus far, and occupy 12th spot on the standings. Not much point in analysing this one too much, back PSG on the (-1) Handicap here at 6/10. We’re off to the wrong end of the table next where Amiens host Caen. The hosts are on an awful run in the league, taking just two points from their last six encounters while losing four on the spin. To their credit, their last three fixtures have seen them lost by a single goal to Lille, Lyon and Stade Rennais; all of whom are in the top half of the table. Caen are also on a bit of a poor run at the moment. They’ve lost each of their last three fixtures against Lille, Marseille and Montpellier – all matches you’d expect them to lose to be fair. It’s always difficult calling fixtures where both teams are on dire runs. Take Under 2.5 Goals at 5/10. Strasbourg head into their home fixture against Angers as firm favourites, and it’s easy to understand why. They’ve been one of the surprise packages this season and look to be pushing hard for a European spot. They’ve won four on the spin in the league and you wouldn’t bet against them making it five against Angers. The visitors have enjoyed a pretty solid season so far and find themselves in 12th place as a result – well clear of the relegation zone. You worry for them on the road where they’ve only managed two wins in 11 games. Big value on Strasbourg to claim all three points here at even money. Nantes’ worrying league form will have them peering nervously over their shoulders. A couple more defeats on the spin and they could well find themselves dragged into the relegation zone. They’ve only picked up one point in their last four encounters and will need a positive result against Nimes to reignite their season. Nimes have been pretty solid of late, picking up seven points from their last five matches which included a 1-0 home win over this weekend’s opposition midway through January. That win will no doubt give them confidence against a team still reeling from the death of former striker Emiliano Sala. Tough one to call this, but Nantes should just shade it – especially at home where the atmosphere they’ll want to put in a big performance for their former centre-forward. Montpellier will be pretty confident of grabbing all three points when they play host to Monaco on Sunday afternoon. They will, however, be worried with how many matches they’re drawing of late. Three stalemates in four fixtures doesn’t bode well for a side chasing a European spot. Monaco will be hoping that they can turn a corner following the dismissal of Thierry Henry as manager. They grabbed a 2-1 win at home against Toulouse last weekend as Cesc Fabregas bagged his first goal for his new club. Montpellier have been the league’s draw specialists over the last two seasons. Might be worth backing these sides to share the spoils at 43/20. Toulouse would no doubt have been disappointed to lose out against Monaco last weekend, but will have the perfect opportunity to put things right at home against Reims. That’ll be easier said than done, however, with Reims probably the biggest over-achievers in the league this season. They’ve won their last two fixtures on the spin including a massive 2-1 home victory over Marseille. Reims to win here. Huge, huge value on second-placed Lille to win here at 13/10. Guingamp have been shocking in the league this season and should be routinely beaten by their visitors on Sunday – add this one to all of your weekend multiples. Stade Rennais host St. Etienne in what looks to be a mouth-watering clash. Still, you can’t help but feel that the away side should be offered a bit more respect in terms of price, 51/20 is massive for a team who have punched above their weight for much of this campaign. That said, their away form has been pretty dire, with just two wins coming on the road along with five draws and four defeats. I still think that St. Etienne will get something out of this – take them on the Win/Draw at 13/20. Lyon will be buzzing following that massive 2-1 over PSG last weekend and will be pretty confident of brushing Nice aside away from home. They’ve not tasted defeat in their last seven outings in the league and should be far too good for an inconsistent Nice side.